Sedimentary gold color. Tropical aromas of sugared bananas, underripe papaya, breadfruit, grilled green pepper, and passionfruit ice cream with a glycerous, crisp, fruity light-to-medium body and a seamless, intriguing, medium-length clove, wintergreen, crystalized tangerine peel, roasted pistachio, and buttercream finish. A seemingly unfiltered brandy packed with crowd-friendly fruits and creamy appeal; oddly sedimentary. Bottom Line: A seemingly unfiltered brandy packed with crowd-friendly fruits and creamy appeal; oddly sedimentary. 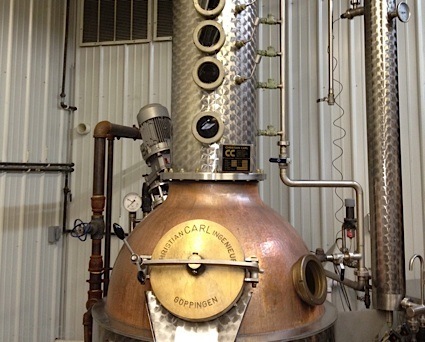 Grape Brandy is Brandy distilled from fermented grape juice or crushed but not pressed grape pulp and skin. This spirit is aged in wooden casks (usually oak) which colors it, mellows the palate, and adds additional aromas and flavors. 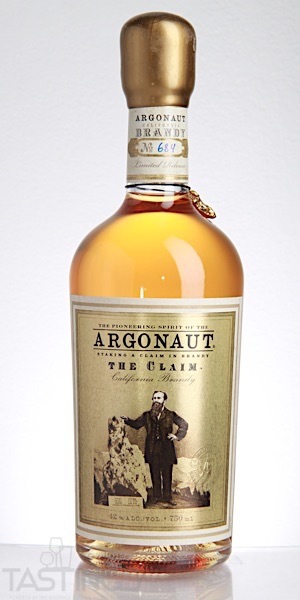 Argonaut The Claim Brandy rating was calculated by tastings.com to be 81 points out of 100 on 8/20/2018. Please note that MSRP may have changed since the date of our review.